Swiss wrap is manufacturer and supplier of chocolates and boxes. 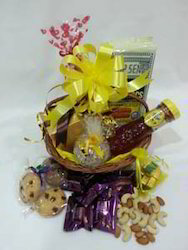 We offer gift packaging services to our corporate clients. Our staff is creatively involved in giving attractive and eye catchy packaging ideas thereby satisfying our clients. We would be delighted to assist you with your corporate food and beverages gifts, promotions or incentive schemes. We combine our expertise and imagination to tailor corporate gifts from the inexpensive to the most luxurious. Increasingly popular are "target achievement hamper" - a selection of goodies to be given out and enjoyed at work. Look at hampers for ideas, and we can tailor requirements for any group or team numbers. Looking for “CORPORATE GIFT PACKAGING SERVICES”?